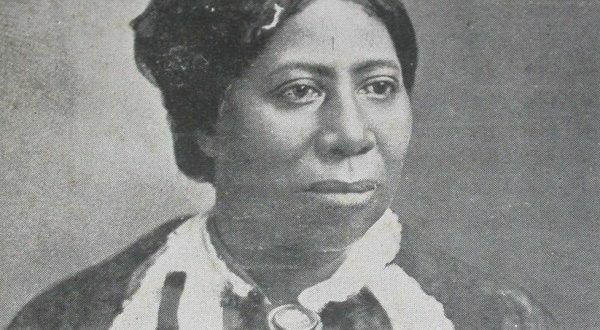 Anna Murray Douglass helped Frederick escape from slavery, and continued to support his abolitionist work for the rest of her life (Wikimedia Commons). Q. You worked on this book for ten years, but first began researching Douglass as a PhD student. What initially inspired you to study Douglass? Did you always plan to write a biography of Douglass? After that first book in the late 1980s, and over time, I edited new editions of Douglass’s first and second autobiographies, a new edition of the Columbian Orator(the book that changed Douglass’s life as a slave), and I had written a number of essays on the former slave. But I did not really intend to write a full biography until I encountered the Evans collection in Savannah. Only then did I decide to attempt a full life of Douglass. I was initially inspired to study Douglass in graduate school in the early 1980s because I wanted to research and write about abolitionists and the coming of the Civil War. I especially wanted to probe the stories of black abolitionists. Douglass was the greatest perhaps of all abolitionists, and I was especially drawn to the famous orator and writer’s masterful use of words. The research for this biography took me many places and to many archives in the US and the UK. The places in Douglass’s life are very important to his biography. Q. Describe the private collection of Douglass papers and material that you had access to during your research. How did you come upon this collection? In 2008 I first encountered the private collection of Douglass manuscripts owned by Walter O. Evans while on a lecture trip to Savannah, GA. The material was less discovered than it was purchased over time from other collectors. I was the first Douglass scholar to extensively consult this collection and my book is the first full biography ever to use the collection. The collection consists of ten or so Douglass family scrapbooks assembled largely by Douglass’s sons, Lewis, Frederick Jr., and Charles; many family letters and other documents; photographs; as well as handwritten and typescript versions of many speeches. The collection especially contains thousands of newspaper clippings from the final third of Douglass’s life, from the 1860s to the 1890s. I spent many weeks over the past nine years doing research on the Evans’s dining room table as their guest. It was my great luck to encounter Walter and his collection when I did. It is one of those stories we historians dream about, and a story about the relationships that are possible between astute and deeply knowledgeable collectors and the scholars who depend upon them. Q. What insights did you glean from your research using the Evans collection that you had not previously known about Douglass? The Evans collection allowed me unprecedented access to the Douglass of the last thirty years of his life, the 1860s to 1890s. It opened worlds we had not yet seen before about his family relationships, his back-breaking and nearly endless lecture tours into old age, his place and role as the leader of black America in Washington DC, his finances revealed in the account books, his roles as Marshal of DC and Recorder of Deeds of DC, his role and place as a symbolic leader, his image out across the land where he travelled, his lecture tours in the deep South about which we knew almost nothing before, his hugely controversial marriage to second wife, Helen Pitts. The Evans collection above all gave me new insights into the extraordinary trajectory of Douglass’s life—the former slave born in a backwater of the South who rises to be the most famous abolitionist in America, who lives to see his cause triumphant in the Civil War, but then also lives long enough (another 30 years) to see much of that victory betrayed and eclipsed. Above all the Evans collection makes possible the fullest critical treatment of the older and aging Douglass ever attempted and I have made this story a primary thread of the book. Q. Can you discuss the tension the aging Douglass experienced as he made the transition from radical outsider to political insider and symbolic figure of great fame? Few radical reformers in history live to see their causes triumph, and then also live long enough to become a political insider within the government or a system they had fought to overthrow, destroy, and reinvent. Nelson Mandela comes to mind. Vaclav Havel and many other Eastern European leaders after the fall of the Soviet Union and the Berlin Wall also come to mind. Some of America’s major Civil Rights leaders who later became major office holders also are good examples. Douglass is the greatest example of this phenomenon in the 19th century. In his case this meant becoming a loyal advocate of the Republican Party for thirty years as it decisively changed from the party of emancipation and the 13th, 14th, and 15th Amendments to the party of big business and the retreat from the egalitarian transformations of Reconstruction. Douglass became an office holder (by appointment, not election), he became often a symbol as much as an actual political leader. Douglass always had to live up to expectations of performing as the black leader, the voice of the freedpeople, the former slave who had to prove the capacities of black people. But above all Douglass also became in the final thirty years of his life, 1865-1895, a patriarch of a huge extended family of three sons, one daughter, and twenty-one grandchildren. Along with his two wives over time, these kinfolk all became to one degree or another financially dependent on Douglass. Living in Washington, his family emerged as a kind of black first family in the District of Columbia press. Douglass, therefore, lived with an acute problem of “fame,” in all its positive and negative aspects. Q. Douglass was a man of contradictions, and in the book you address how Douglass has become a figure adopted by all elements of the political spectrum—even current Republicans, who have claimed Douglass as one of their own. Why do you think that is? Like all great writers and leaders who live a long time, Douglass was a person embodying contradictions. He possessed a long love/hate relationship with America. He became a radical patriot who also levied some of the most withering attacks on American racism, hypocrisy, and craven defense of slavery and states’ rights. He could be an enormously compassionate man toward all people undergoing oppression and indignity, but he also during the war practiced a vicious brand of war propaganda aimed at the destruction not only of the Confederacy but of white Southerners themselves. Douglass was a vehement advocate of the natural rights tradition, of human equality, and of aggressive use of interventionist, activist government. But he was at the same time a persistent voice of black self-reliance, of his people’s efforts to make their own way in the world, before and after emancipation. Douglass often argued that the federal government should let black folk alone, but always give them at the same time fair play and a fair chance. Unfortunately, modern-day conservatives have appropriated Douglass’s advocacy of self-help, claimed him as a voice of limited government (nothing could be more wrong), and therefore all but erased his radical abolitionism, his fierce fight for equality, as they stress how Douglass was a “Republican.” Douglass was a member of a Republican Party decidedly different, with a very different history, especially about race, from the Republican Party that exists today and has frankly existed now for several generations. Douglass is now one of the major figures of American history that various parts of our political spectrum try to claim for their own causes and uses. This usually says much more about the people or groups appropriating Douglass than about Douglass himself. Q. How would you characterize Douglass’s legacy today? What lessons could we all—political leaders, cultural leaders, and active citizens—take from his life and work? Douglass delivers many legacies to us today in the 21st century, both from the trajectory of his life and from his ideas and writings. He is first one of the best examples ever of a person who led by language, a genius with words whose oratory and writing provide the primary reasons we know him. Second, Douglass delivered over and over a critique of America as a slave society that had to be dismembered and destroyed before being re-created around the idea of human equality. Third, Douglass’s writings, especially in the autobiographies, constitute the most compelling descriptions and analysis of the nature and meaning of American slavery crafted by any American. Fourth, on a personal level, for anyone who has ever experienced despair, captivity, oppression in many forms, displacement, isolation of the soul, or legal and political denial, Douglass’s story, and his writings, offer a deep well of hope and inspiration. Fifth, Douglass might have given up on the cause of abolition, of emancipation, of US victory in the Civil War, or of the endurance of the triumphs for black rights in Reconstruction. But he never truly gave up. That alone gives his life and thought lasting use and significance. Sixth, Douglass was a great editor, writer, speaker. He was an organizer, a creator of and believer in social protest movements. All who seek social and political change or transformation do well to examine Douglass’s example. Seventh, Douglass remains a classic model of political pragmatism grown out of radicalism. His story shows us over and again that all revolutions will lead to counter-revolutions. A true reformer has to keep a long view of history, and try to fashion the most effective and not always the most radical method of change. Eighth, Douglass not only lived a heroic life in his escape from slavery and the remaking of himself in freedom; he became a major thinker – about the nature of history, about the natural rights tradition, about political and constitutional philosophy, about the elements of morality in human nature. Ninth, Douglass has a great deal to tell us eternally about what it means to be an American, and about how the issue and history of race stands at the center of that question. And tenth and finally, but not least, Douglass’s world view, sense of history, and his gripping talent for storytelling rested deeply in his reading and use of the Bible, especially the Old Testament. Just why Americans in the nineteenth century were so steeped in Biblical story and metaphor is beautifully and powerfully on display in Douglass life and work. Q. You have spent over thirty years of your life studying Douglass. If you had the chance to sit down with Douglass, what is the one thing you would want to know? There are a thousand questions I would want to ask Douglass if I had him in a room. But if I only get one it would be something like: How, sir, would you characterize the meaning and lasting significance of the Civil War in your life and that of your entire family? In this question I would hope to keep him talking about the many possible meanings he might raise. Thanks to John Muller, local journalist and author of “Frederick Douglass in DC: The Lion of Anacostia,” for leading a tour in conjunction with THE AGITATORS for our board members, theater lovers and members of the community, that brought Frederick Douglass to life off the stage and allowed us to walk on the path of history as we were introduced to some of the same sights in Anacostia he would have seen during him time here. You helped make the play an experience, not just a production! Yale Professor David Blight: Your legacy on Frederick Douglass biography and research is truly one of unprecedented dishonor and arrogance, not the advancement of scholarship. Thanks for your note. I’m glad to be in possession of your recent email. I’d appreciate if you had courtesy and decency to Cc: me when speaking of me. I find your condescending dismissiveness of my critiques of your incomplete, perverted and racist interpretations of Dr. Frederick Douglass fascinating as my book, Frederick Douglass in Washington, D.C.: The Lion of Anacostia, is cited in your book 8 times. Call whoever you want to and update them. Tell all who have ears to hear I am unwavering in my assessment of you as a mediocre, at best, speculative historian and a pioneering, groundbreaking disgrace to the study of Douglass. Your insinuations of infidelities by Dr. Douglass with “two European women” at Washington College before members of the family is an act of shame and dishonor to your profession and name that will long outlive you, sir. As well as frequently scandalizing Douglass’ personal life, your repeated comments about having fantasies of chaining Douglass to a chair, demonstrate that you, sir, are nothing less than a racist. Your comments are truly sickening. The insinuations you make about the Honorable Frederick Douglass having untoward relationships with white women are similar to insinuations reportedly made against African-American men by lynch mobs in the post-Civil War South. A close friend of mine made that observation and was deeply troubled when I showed her your remarks. Community members in Anacostia find your speculations to be beyond dishonest and hurtful. It is not just African-American men and women of all ages I speak with who find your personal comments deeply troubling but also well-respected older white men within the periphery research community of Douglass Studies have told me they believe you to be a disgrace to the profession. That you have done nothing to build and uplift a scholarly infrastructure around Douglass — such as our European friends are doing — during your tenure at Yale, like the late Prof. John Blassingame did, will be your lasting legacy. Your legacy is truly one of unprecedented dishonor and arrogance. In recent months speaking on WAMU, WSCL/WDSL and to local history groups / organizations / journalists about my research and work to uplift the history of Dr. Douglass in various communities – from the Eastern Shore to Rochester – I have largely refrained from speaking on your book and your work. Due to my numerous blog posts on your speculative and racist comments I have received a couple media inquiries. With respect to a number of persons and other dynamics I had decided not to pursue speaking to press about the dangers you present to not just the study of Douglass but the full and appropriate recognition of the Bicentennial across this country. In coming months there will be lectures and presentations within the DC and Baltimore area specifically about the tradition of Douglassonian biographers — Holland, Gregory, Quarles, Foner and Preston — and that you violate this sacred tradition with your limited grasp of scholarship (you really just repeat the work of McFeely and Deidrich) and promotion of your own racist and troubling interpretations. Call and update whoever you want to. Tell any and all, the author of a book cited 8 times in your book is unrelenting in advancing that you are a disgrace to the study of Douglass. Sadly, racist speculations, that you have been given platform within your field to herald, will be your lasting legacy, not the advancement of scholarship. This is the text of an email I sent to David Blight in response to an email he sent concerning me, without including me. In our continued transparent critique of Blight’s dangerous speculations we post our email in full.